In an interview with NPR, Estelle who was raised in West London, revealed that her Senegalese mother and Grenadian father separated when she was 3, but rekindled their love almost two decades after, finally marrying when Estelle, now 38, was 33. This, she said is what inspired her 5th studio album, Lovers Rock, which is named after the reggae sub-genre the Grammy-winning singer personifies on the project. Among the artists featured on the project is Maleek Berry, who Estelle enlists for “Meet Up”, the 2nd song on the romance-themed album. 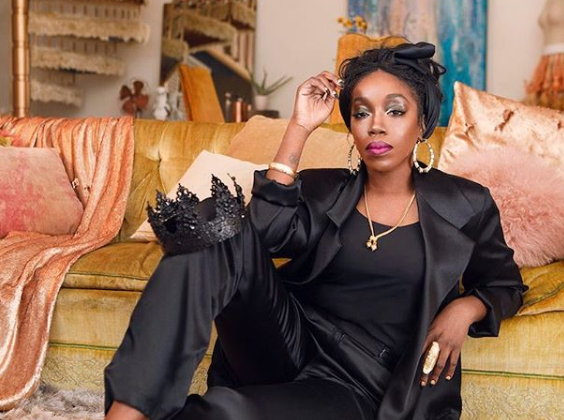 Estelle and Maleek Berry play lovers on “Meet Up”, offering flirty lyrics that also covey a show of commitment, over Afropop-tinged reggae instrumentals. The 14-track album also features reggae artist, Tarrus Riley, on the album’s lead single, “Love Like Ours”, as well as Jamaican dancehall singer HoodCelebrityy, and UK’s Alicaí Harley.